On one of our many ultimate field trips, my family and I were walking in the Piazza del Popolo in Rome when we came upon an exhibit featuring the work of Leonardo da Vinci. I was fascinated by the hands-on models and artifacts, most notably his journals. The detail he captured in his sketches stood out to me, and as both a science educator and a homeschool mom, I was captivated by the interface between the two seemingly opposite disciplines—art and science. Scientific ideas have long inspired artists, from Leonardo Da Vinci and Picasso to Calder and Kandinsky. Using the scientific mood of their own times, these artists prove that science inspires great art. My daughter finds inspiration for pieces of her own in the art of these masters. But her deep love is the environment. She combines art with this passion through nature journaling and repurposing discarded plastic into art. This passion has spurred an interest in pursuing a career in environmental engineering where she hopes to make a difference. While this mix of art and science is nothing new, today artists are engaging with science at a deeper level, offering an opportunity for dialogue and a critique of science. The science-art interface movement has gained momentum as artists and scientists start to see the benefits of working collaboratively. When scientific data sometimes seems like a monologue, art can produce a dialogue. The rising concern for the overabundance of plastics pollution, for example, has now given rise to artists like my daughter who are using plastics to create art and to communicate their concern about this issue. In my view, art inspired by science isn&apos;t necessarily about the communication of science—it is a response to science. Scientists can sometimes get caught up in the technical jargon and have a difficult time communicating their research. Working with artists can help them rethink their message and improve the manner in which they convey their work to the general public. Science produces objective documents about the world, whereas art expresses or alters our subjective experience of the world. The difference is not necessarily in the subject matter or the conception. Science is a part of our culture every bit as much as politics, nature, and all the other things on which artists comment. While art may use the methods of science, use science as an initial starting point or inspiration, or comment on science itself, the intention and result of scientifically-inspired art is something different. 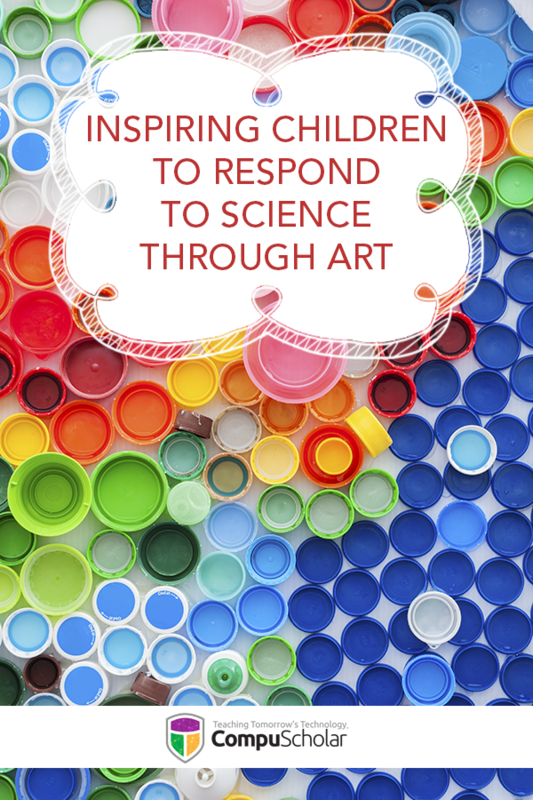 How can we encourage our children to find this intersection of art and science? Primarily by offering our children a wide range of real-life experiences and course work in all things STEAM: science, technology, engineering, art, and math. Whenever possible, inject art into science and science into art. It&apos;s important to let kids explore without labeling the studies, not being concerned when one discipline bleeds into another. This interdisciplinary exploration is where students get to experience how art responds to science. 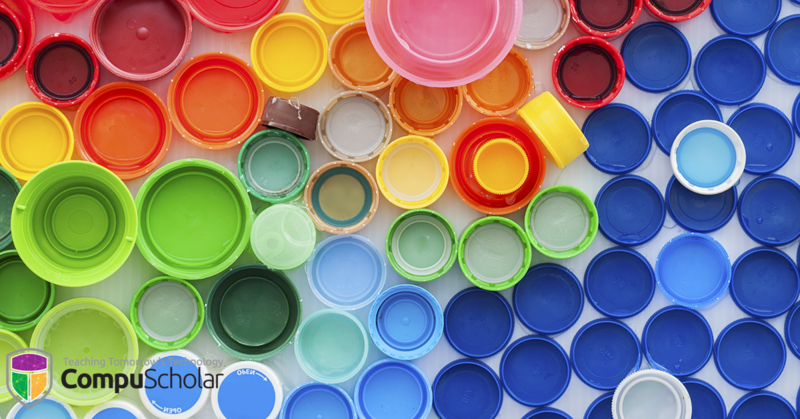 Distinguishing between what is science and what is art is not so easy, and instead we should simply hope that either is inspiring to our children. Eva Varga considers herself a lifelong learner. She earned a Bachelor of Science and Master of Arts in Teaching from Oregon State University in 1994 and 1995. 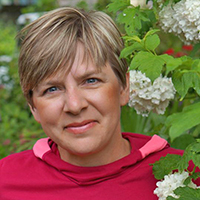 Most recently, she earned Oregon Master Naturalist Certification, attesting to her passion for environmental studies and citizen science. During her tenure in the public schools, she primarily worked as an elementary science specialist providing hands-on, inquiry-based science instruction. She collaborated with the classroom teachers to develop comprehensive curriculum as well as to provide an annual field-based experience for each grade level. Additionally, she worked alongside resource specialists to bring real-life science experiences into the classroom. During her years in the public school classroom, she obtained over $25,000 in awards and grants for innovative projects and exceptional practices. She was selected as a finalist for Oregon Science Teacher of the Year and also earned National Board Certification. She has recently begun teaching ESL classes to children in China. Eva is also experienced in working with adult students. For the past several years, she has taught classes for educators through the Heritage Institute. As a homeschool educator, she writes a blog through which she serves as an advocate and advisor for homeschooling families. Through this medium, she shares science curriculum, provides online courses, and shares resources with both youth and their parents.